Veggie patches can be made in a variety of shapes and sizes. Various vegetables. 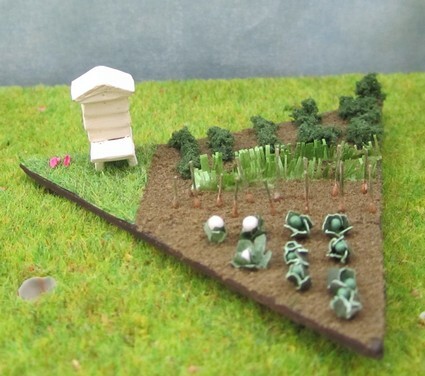 This triangular one shows a beehive, potatoes, carrots, onions, cauliflowers and cabbages. 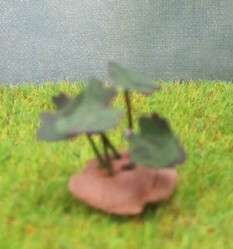 in a variety of colours, mostly pinks/mauves with some white and yellow. 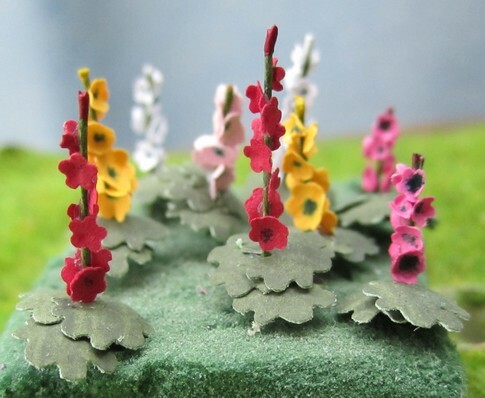 Although there are two styles of hollyhocks only this type is available in 4mm.